A political newcomer recruited by the Democratic National Campaign Committee beat incumbent Lexington Mayor Jim Gray in the primary race this week for a U.S. House seat. 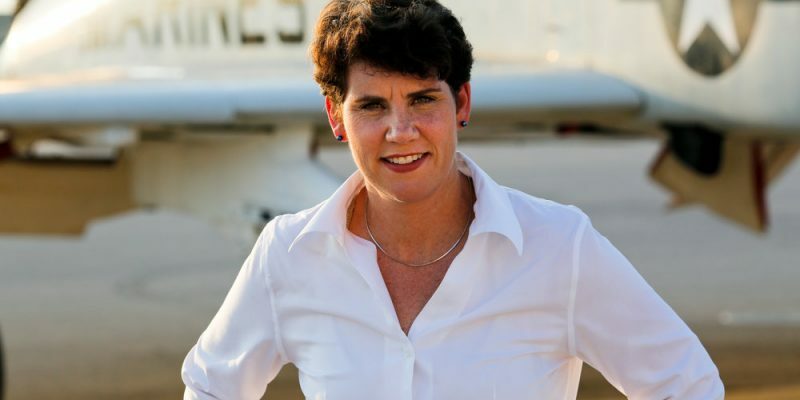 Amy McGrath, a retired Marine fighter pilot, won the Lexington-area 6th District race and will now face off against Republican Congressman Andy Barr. The district leans red, but Democrats think that McGrath will help shift public opinion in their favor in November. McGrath only moved to his district months before launching her campaign. Gray built a successful construction business, having lived in the district for years. Gray was recruited by the Democratic Congressional Campaign Committee because as a woman she was seen as a stronger national candidate, than a homosexual man. She was among a crop of veterans recruited and financed in part by Massachusetts Democratic Rep. Seth Moulton. New York Sen. Kirsten Gillibrand also supports her. Is the Democratic Party now moving away from supporting gays? Is the DCCC now the party of anti-gays? McGrath, a mother of two children who was inducted into the Kentucky Aviation Hall of Fame in 2016, appears to be the better candidate because of her record, not her gender. But the DCCC is making the issue about gender– ironically against a homosexual candidate. Sounds like sexism, which is right up the DCCC’s alley. It’s just a shame they are using such a decorated veteran to promote such garbage.